Google’s Mobile-first Index: What You Need to KnowWe all knew this was coming, right? 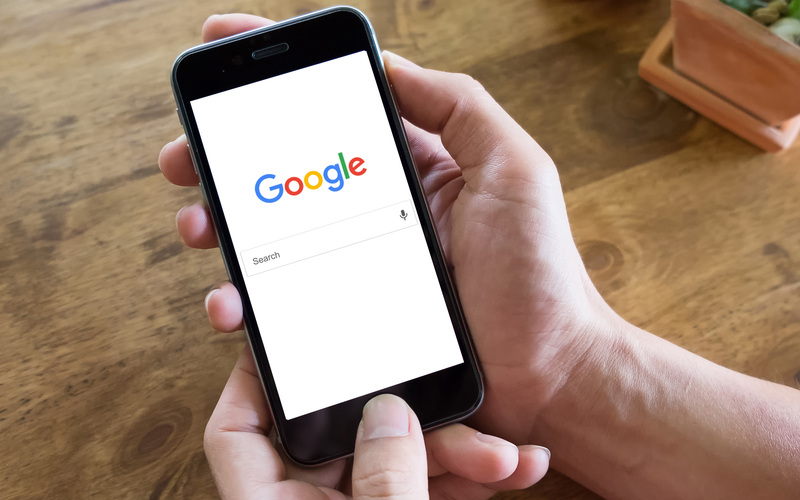 Google recently announced that it is shifting its search results index to prioritise mobile-friendly results first. Uh-huh, you read that correctly, mobile-first is coming to Google, and it affects all websites near you (especially your own). We knew this was coming because we know how reliant we’ve all become on our mobile phones. My phone is my alarm clock, my social network portal, my camera, my video recorder, my e-reader, my health monitor, my games station, my sleep tracker, my map reader, my bank card, and yes, indeed, my search engine. It’s yours, too, I have absolutely no doubt. And you should have absolutely no doubt that your customers’ and followers’ mobiles play the exact same role in their lives. Search queries on mobile have now surpassed those made on desktop computers. But that’s old news, right? And so of course, with no small thanks to bloggers like me banging on about it for three or four years at least, you have ensured that your website is mobile-friendly. However, as prepared for mobile visitors as you may be right now, the forthcoming update carries with it greater implications to your website’s current rankings, and you may need to address these over the coming months. But, fear not, loyal My Social Agency readers – we’ve been looking into this, and we’ve got you covered. We’ll walk you through what it all means and what you need to do about it below. What Does Mobile-first Indexing Mean Anyway? So, first thing’s first. This algorithm update is still in the experimental stage. Exactly whom the guinea pigs will be is anyone’s guess. It could be your website, it could be ours, it could be a voluntary group – who knows? But, what does it all mean, this mobile-first indexing malarkey? Ok, ok. Let’s get to it. Well, it’s all based around the content that you (or rather your web developer) will undoubtedly have chosen to exclude on the mobile version of your website (if you have one, that is). Currently, when a user punches a search into Google (no matter if they are on desktop or mobile), he/she is returned with a list of results that include snippets from inside the web pages. These snippets often entice a user to click on the link. However, for mobile users (i.e. now the biggest cohort of Google searchers), too often what happens is that upon clicking the chosen link from the results list, they are redirected to a mobile-version of the page and the content they saw in the snippet is not available – or rather, it just isn’t there. This is not a very good user experience – not least because if the webmaster has deemed that snippetted (that’s a free word I’ve just added to the English dictionary – enjoy) content not to be important enough for the mobile site, then clearly the website shouldn’t be ranking for the search query that was entered. The reason it does rank is because, currently, Google prioritises desktop content when determining search results and their ranking. However, in a world where users are primarily using their mobiles for search, this is clearly an outdated element of the algorithm. Google wants to change that – hence the mobile-first index, which means that Google will now (or in a few months’ time) start to prioritise what its bots discover in mobile versions of websites, and use that information ahead of crawlable desktop content as the primary data when determining rank. Importantly, these results will rank equally no matter if the user is on a desktop or a mobile device. If so – you’re in the clear. Otherwise, see points 2 and 3. If you’ve got a setup where you’re displaying a completely separate mobile site to the desktop version, you need to take a serious look at the content contained in the mobile version. The reasons, I hope, are pretty obvious – since Google will be using the mobile version of your site first in order to determine search ranking, then you need to make sure that the content contained on the mobile version is optimised for all the keywords and links etc. that you want to rank for. In most cases, there will be less content on the mobile version of your website, which means that some of your content will only be on the desktop version. When the update kicks in, however, the mobile Googlebot won’t crawl the exclusively desktop content, and therefore won’t discover and store it in the mobile-first index, meaning that it won’t be retrievable and you won’t rank for it. And remember, it doesn’t matter if the user is on mobile or desktop, it’s what’s on your mobile site that will determine rankings, regardless of which version actually gets displayed. This indeed, is the exact problem that the update is trying to solve – and may well prove to be the number one issue that concerns you. Aside from responsive design, site speed is also important. It always has been, of course, but with mobile-first, you’ve got to make sure that your content is light to ensure a good user experience. And with user experience (UX) in mind, your mobile site is now under even greater pressure to deliver. There are two reasons. First, of course, because of the pending update, and second, because of the very reason that the update is happening – more searches are being conducted on mobile devices than they are on desktop. That means that your followers, customers and potential customers are searching for businesses like yours on their mobiles. Give them the experience they need not click off elsewhere. Mobile-first indexing is not quite yet among us, so we’ve all got time to make adjustments so we’re ready when it comes. If you need help with this, or have any other development or SEO needs, then please don’t hesitate to get in touch with us here at My Social Agency.